KENSINGTON Palace has released the official photos from Prince Louis' christening - and they're just as stunning as you'd expect. The tiny royal was christened at the Chapel Royal inside St James's Palace last Monday, in a ceremony attended by an intimate group of just 30 guests including Prince William, Kate, Prince Charles, Camilla, Prince Harry, Meghan and the Middletons. Following the service, the royal family posed for official portraits taken by photographer Matt Holyoak in the Morning Room at Clarence House. It was almost the same line-up as Princess Charlotte's christening in 2015 and Prince George's in 2010, with one extra face - Prince Harry's new wife, Meghan. 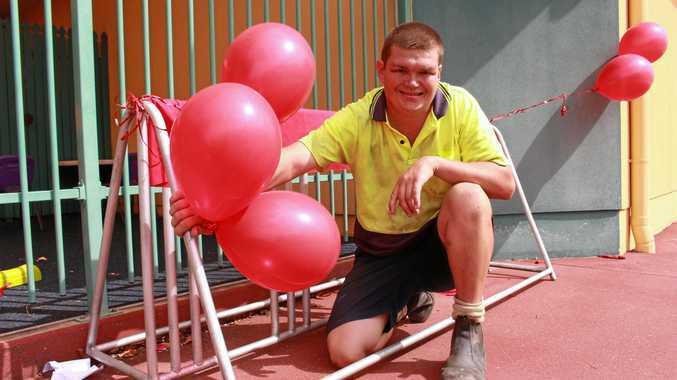 Meanwhile, the Queen and Prince Philip were notably absent. In one of the pictures, a smiling William and Kate stand against a plain backdrop with their three adorable children. 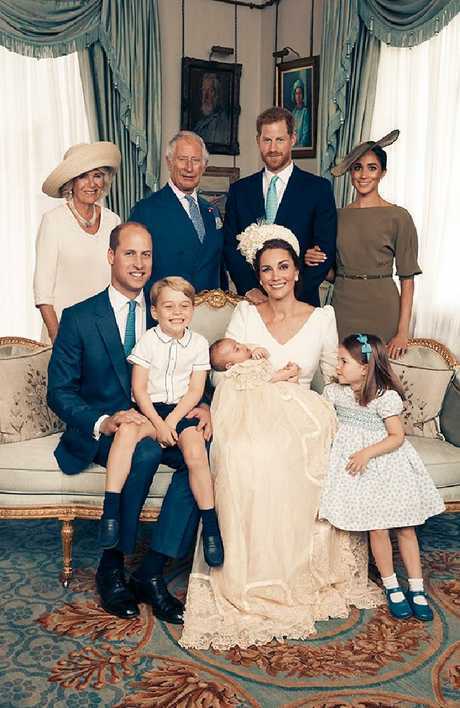 In another, the family of five is perched on a lounge while just Charles, Camilla, Harry and Meghan pose behind them. 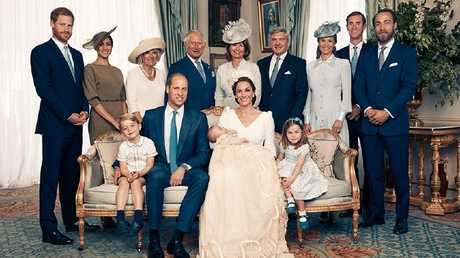 There's also a portrait of the entire extended family, including the Middletons, gathered around Prince Louis, and a stunning individual photo of Kate - dressed in a long-sleeved cream Alexander McQueen dress and headpiece by Jane Taylor - holding her newborn son. In a statement released on the eve of the christening, Kensington Palace confirmed that Louis' godparents wouldn't include either William's brother Harry or Kate's sister Pippa, with close friends and just one relative making the list. William's friends Nicholas van Cutsem, fellow Etonian Harry Aubrey-Fletcher and nightclub owner Guy Pelly were chosen to serve as godfathers, while Kate's cousin Lucy Middleton, school friend Hannah Carter and William's friend Lady Laura Meade are his godmothers.